Can a Managed Service Provider Make My Insurance Agency More Profitable? You may not believe this at first, but having a managed service provider for your agency’s technology infrastructure will make you more profitable. That’s because technology has moved from the back office of your business functions to front and center. If your clients are not already demanding 24/7 easy access and responsiveness, they soon will be. After all, that has become an expectation of today’s digitally-driven business world. So, managing your technology infrastructure has grown increasingly important. The old days of having a part-time “IT guy” are gone; tech is front and center and a crucial part of how you handle claims, client data, and marketing your firm. These are all areas where a managed service provider can help. This post looks at how managed service providers can help streamline technology so insurance agents can do more. From IT services to automation, MSPs help the small to mid-sized agency stay competitive. According to the CompTIA Trends in Managed Services study, 56% of the companies surveyed said improving efficiencies was the number one reason to partner with a managed service firm. Managed service providers can assess your IT infrastructures and workflows and determine if upgrades or changes could improve the efficiency of your agency. They can provide additional training in the technologies you’re using to improve the productivity of the agency. Managed service providers can certainly improve the security practices and architectures behind your most crucial business activities. They can help by automating basic tasks and improving upon the interoperability between systems so that you are working smarter and more efficiently. Finally, they can improve the speed of the technology you use, which will increase productivity for the entire team. The CompTIA study also showed that 30% of the companies surveyed said that saving money was an important consideration when selecting a managed service provider. These vendor-partners usually operate under a fixed monthly cost structure similar to a subscription service. Under that contract comes a team of IT professionals that you would in no way be able to afford individually. Sharing the costs of this expertise amidst a wide variety of businesses enables everyone to reap full advantage of the savings. If you’re still operating with on-premise email servers or other hardware, this process completely eliminates the unexpected hardware costs when a server goes down. These cost savings can be utilized to market your services, perhaps bringing in more policyholders that could, in turn, pay for the managed service provider. Get a free assessment on how a managed service provider could help your agency. The last thing you want to worry about is the technology infrastructure behind your work. Chances are, as a small business owner, you have very little time to spare on any extras, including the very important IT backbone. If you just want the computers to work – so you can focus on core business functions, this is perhaps our best argument for how a managed service provider can make your business more profitable. Removing any unnecessary technology distractions or headaches from your day-to-day tasks could mean an increase in profits for your agency. Your policyholders demand an increasing access to you and the services you offer. Managed service providers can help you provide better services to your customers in the form of better services. Creating a more mobile-friendly website or building a customer portal just like the big carriers have that allows customers cloud access, are all within your reach with a managed service provider. TOSS C3 is standing by to help your agency reap all the benefits of managed service. 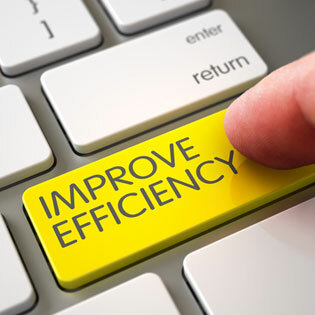 We’ve helped agencies just like yours streamline efficiencies and increase profitability. Contact us to find out more.